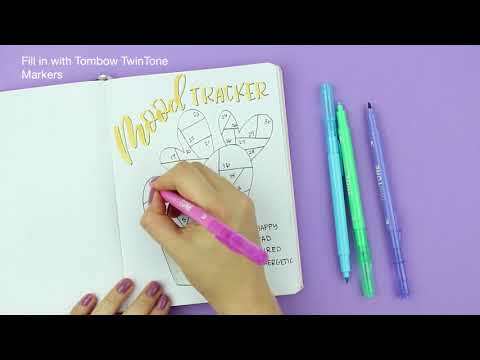 Tombow Dual Brush Pens, Bright is rated 4.6 out of 5 by 66. Rated 5 out of 5 by thebeachnanny from My new favorites markers! I found these on sale and just HAD to try them-I’m in love! I grabbed the next coupon and went back for the pastel set...both have beautiful colors. A must try!! Rated 5 out of 5 by pinkalicious from This product makes painting easier This product is so easy to use and the colors are so vibrant. Rated 5 out of 5 by Motown82 from Great deal Amazing quality and price! Only a fraction of the cost of Copic markers and just as amazing quality! Rated 5 out of 5 by tiggerntk from The product had great features. Great features and fit our gift need. Haven’t given it yet. But knowing the person, she’ll love it! Rated 5 out of 5 by Essa from I'm obsessed. These pens are fantastic. Love using them as they are, or blending them with the blending pen. So many ways to use them, from total beginner (me) to advanced (the people with awesome tutorials online).